How would you move through a space when you can't see the obstacles ahead? For example, how would you find your way out of a maze if you were blindfolded? You could either use your other senses, such as touch, to find your way out – or better yet, you could get someone who can see the way out to direct you. But either way you need information. 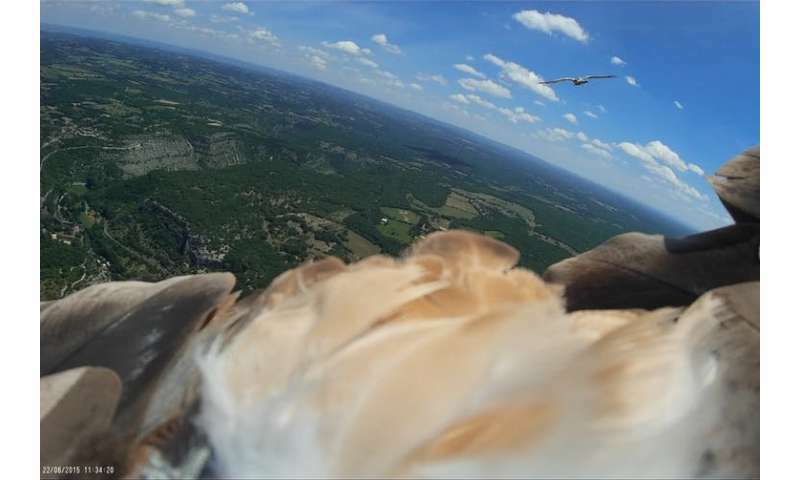 For birds, non-visual information can provide the same helping hand while flying. Even though they can see the world around them, the air is a dynamic, invisible environment – and airflow is much more complex environment to move through than the ground with its static obstacles. Imagine you are hanging from a glider and racing to a finish line. You can see two other paragliders ahead of you, one looks like they are having a smooth ride and moving quickly, the other looks like they are in trouble and finding it difficult to control their glider. You would choose to follow the first one, right? By observing the other pilots around you and responding in accordance to what happens to them, you tap into information that helps you make a good decision and keep up with the race. Similarly, it makes sense that an animal may do the same to move through their environment – observing those around them that have the same objective. 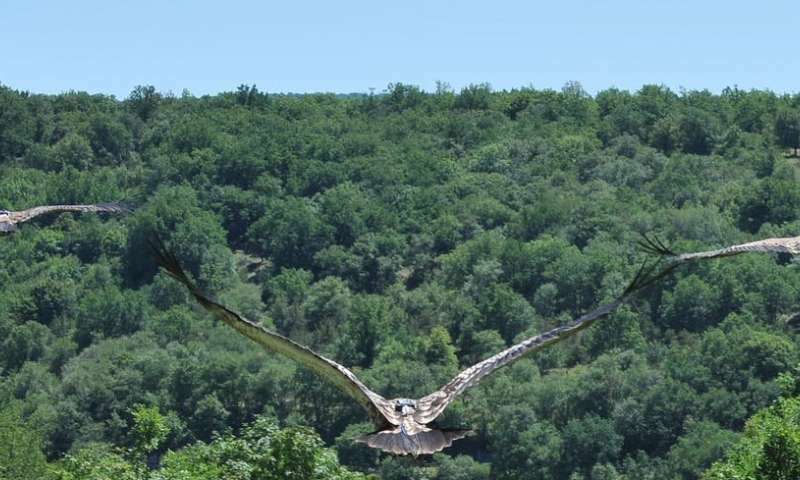 Soaring birds not only move through the air, they rely on updrafts, such as thermals (a column of warm rising air), to gain lift rather than flapping their wings. It's a bit like a big game of invisible snakes and ladders – but the costs of sliding all the way down without finding the next ladder are high. They must reach that next ladder before they hit the ground. Like the gliders, birds that rely on soaring – including vultures – often share the air with other birds. But until now we didn't know if soaring birds do indeed observe each other to "see" these invisible thermal ladders. For our recently published study, we designed an experiment that would test this idea. 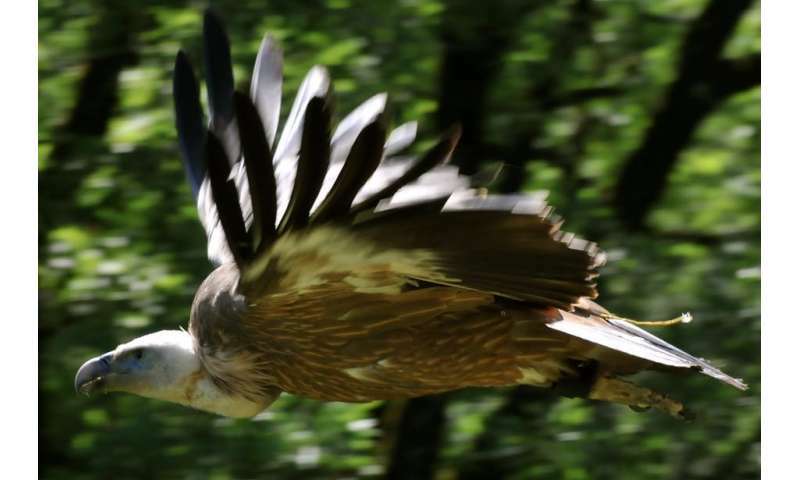 We tracked the movements of each bird in a small group of vultures at a bird of prey centre in the mountains of France, and recorded their behaviour. Only by using the latest tagging technology could we investigate this concept. Each bird had a backpack with a GPS logger, a movement logger and camera recording all aspects of their movement. In the movement logger was a range of sensors, sensitive to different movement types – an accelerometer to pick up wing beats, a magnetometer for directional changes, and an airspeed sensor. There is a well known theory, by aeronautical engineer Paul MacCready, which states that birds and gliders should glide at high airspeed when they have just left a strong thermal and expect to be approaching another strong thermal. But gliding quickly is risky, as the flyer is more likely to hit the ground before reaching the next thermal. So our hypothesis was that these vultures, and other soaring birds, are able to take this risk and glide quickly when they have clues provided by the soaring of others, on the whereabouts of the next thermal. When we mapped the movements of all the vultures and analysed their gliding airspeeds, we found that – on making a decision to leave one thermal and glide to the next – vultures which had tapped into this extra information by "eavesdropping" on the movements of others (they weren't flocked together but were watching how the other vultures were acting) chose to take the risk and adopt significantly higher airspeeds than those going it alone. This finding helps us to understand what is going on in the invisible world above us and just how these birds make decisions to navigate this challenging environment. We are all quite used to seeing birds such as pigeons or starlings flying in flocks, and it may be quite reasonable to assume that by flying together these birds are interacting with each other. But our work reveals for the first time that even when birds are not flying together in a flock, they may observe others to sense the world around them. This suggests, for vultures at least, that it is important that there are other birds in the sky with them, as numbers may be needed to maintain a healthy network of information.